The location was great, everythings was same as booking, Edin is really helpful man, best memory from my trip at Sarajevo. The apartment is very clean and nice. The area itself is close enough to walk into the main attraction area. The department was clean and good location at the center. The owner of the apartment was very kind and helpful. He gave us a plenty of addresses with restaurants and sightseeings. We found cold water as well some snacks (chips...) prepared for us while arriving. Sarajevo Center is situated in the heart of the city you can reach everything with 10 minutes walking. 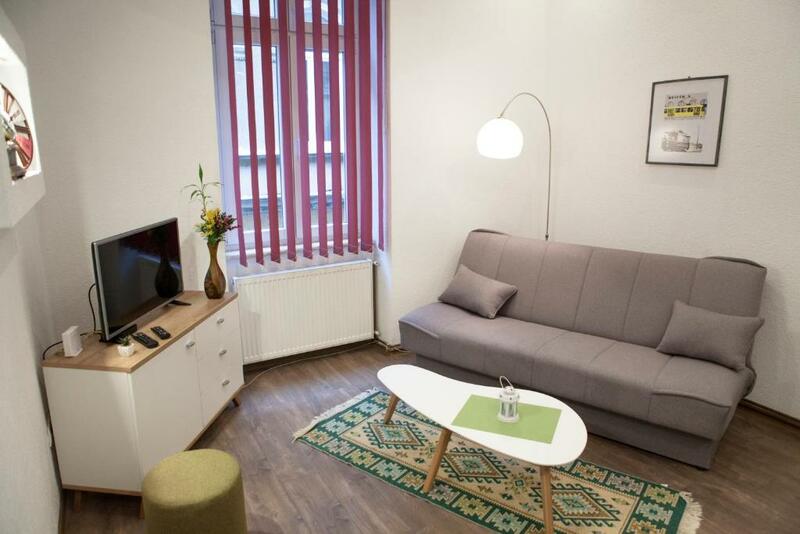 Large apartment with stylish touches right in the middle of Old Town, and wirhint walking distance of all the city's major sites. Strong wifi, cable TV, air con and cooking facilities round out the apartment. The host Edin, was excellent help before and during my stay and made my visit stress free. I would highly recommend you choose to stay here if you're coming to Sarajevo. Everything about this apartment was great.We would definitely return again.Special thanks to our host Edin for all the help and kindness. 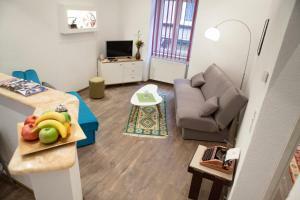 Friendly host, cozy apartment, excellent location, Few steps from city center: cafe,shop, sights. The apartment`s owner is very kind, friendly and helpful man! He can perfectly assist even when your baggage is missing - that was my case. I am so much thankful to him, it is always a pleasure to book in this apartment. Excellent location in the very close downtown and the nice flat on the 1th floor (note for US visitors - 1th floor is not mentioned as a ground floor). A great host, who proposed me to transfer to the city airport, but later guided me through Tunnel of Hope close to it. Very nice, clean and open minded city, with very kind people everywhere. Worthy to visit. Personally, I was very deeply influenced by the city, where so many children and young people were killed just some years ago (1992-1995) and the country, where the unemployment rate of the young people is so high at the moment. Time for silence - and probably a little help too. By visiting it, for example. I propose this accommodation for that purpose. 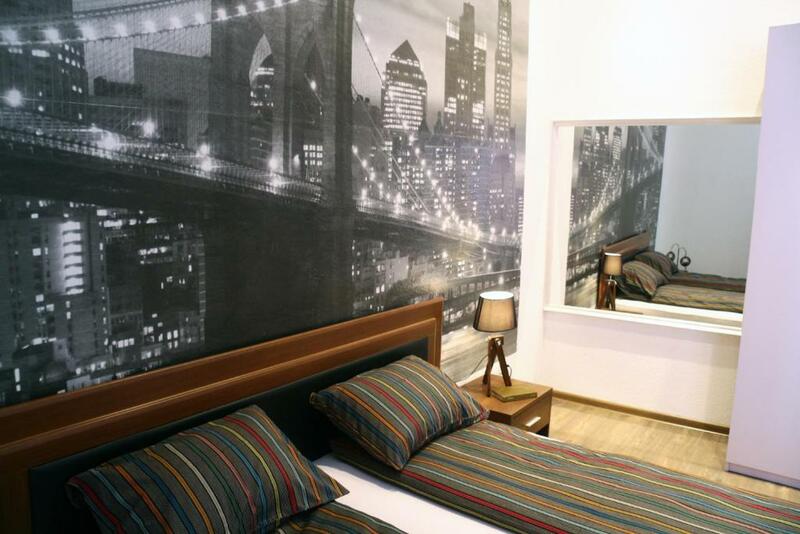 Lock in a great price for Sarajevo Center - rated 9.6 by recent guests. One of our bestsellers in Sarajevo! 1.2 miles from Latin bridge, Sarajevo Center is set in the Old Town district of Sarajevo. Guests have access to free WiFi. The apartment features 1 bedroom, a living room, and a kitchen with a microwave. The air-conditioned apartment also features a seating area and 1 bathroom with a shower. If you would like to discover the area, skiing is possible in the surroundings and the apartment can arrange a bicycle rental service. Bascarsija Street is 1.4 miles from Sarajevo Center, while Sebilj Fountain is 1.4 miles away. Sarajevo International Airport is 8.1 miles from the property. 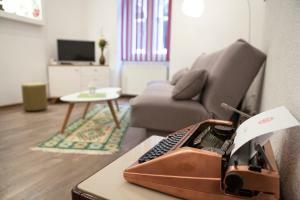 Sarajevo Center has been welcoming Booking.com guests since 29 Apr 2017. When would you like to stay at Sarajevo Center? Public parking is possible at a location nearby (reservation is needed) and charges may be applicable. 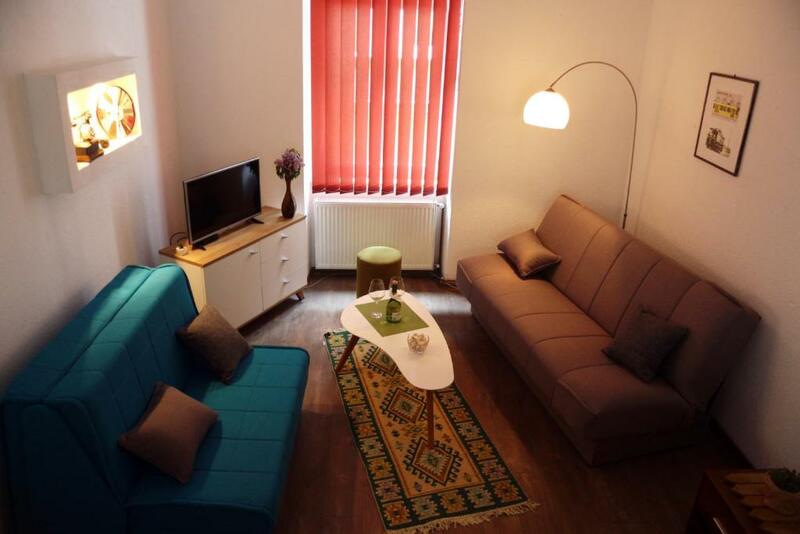 This is a unique and lovely (52m2 = 2 room) apartment located in the heart of the Old Town Sarajevo, 2 mins (200 meters) from the Baščaršija. Its truly original interior design, mixing antique and modern elements in an old and large space, will help you to experience Sarajevo's unforgettable charm. Located in an 1910 Art Noveau building. Great for a romantic getaway or a business trip alike. Very easy to get to from the airport and the train station or by car. 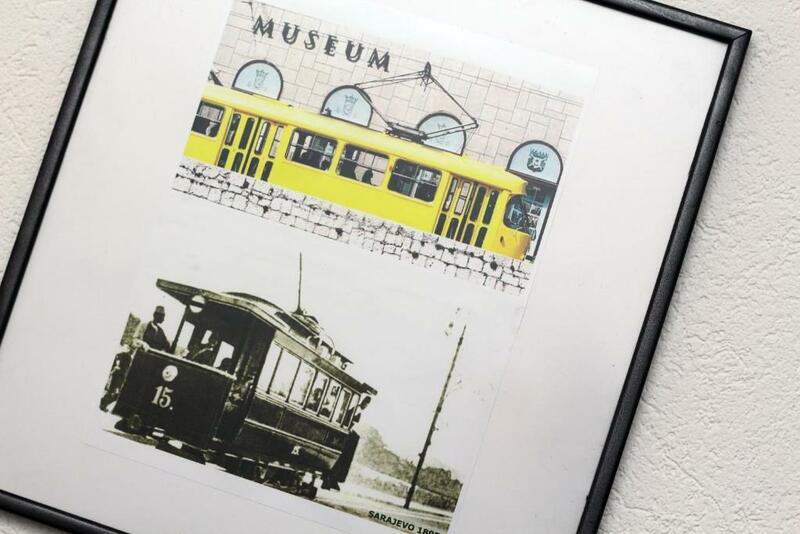 Before, during&after your stay in Sarajevo we are allways available by phone, viber, sms or e-mail if you need some additional informations.On site an attendant (Edin) is available any time for questions all around the flat as well as tips all around Sarajevo. Breathe in the very heart of Sarajevo, where the old city invites visitors to visit a unique blend of European and Oriental heritage. Within 100 meters of the Apartment there is the famous Begova mosque, the Roman Catholic cathedral, the Orthodox church and the Jewish synagogue, which gave Sarajevo the nickname European Jerusalem. The Latin bridge is just 3min. walking distance. 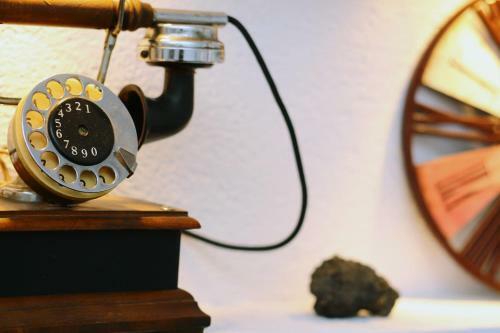 Can you feel that Sarajevo already is calling You ? House rules Sarajevo Center takes special requests - add in the next step! Please inform Sarajevo Center in advance of your expected arrival time. You can use the Special Requests box when booking, or contact the property directly with the contact details provided in your confirmation. Apartment is in heart of the city, you can reach from anywhere easily ,also some good cafe/bars ,bascarsija and restaurants are so close. Besides everything ,Host is very kind and helpful. 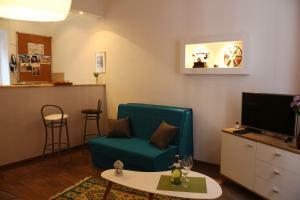 - Great location - Very beautiful appartment, fully equiped. Location was brilliant, lovely modern apartment thank you, very comfortable, loved that it had its own bedroom, lovely bathroom. Loved this place Thank you Check out the pizza place below the apartments fantastic pizza, small restaurant but this is a smoking restaurant !! really hate this , but can't get away from it with cigarettes being so cheap !!!! The apartment itself is perfect but once u step outside the apartment door its like totally another story. Place is not easy to find and if you are driving you got to park into Europe hotel that situated next to the building and pay for overnite parking. But its close enough to walk to the old town. It is located in the center. The apartment is on a very busy street, which is convenient, but which also means it was a bit noisy inside the apartment. Also, the curtains don't close all the way, which meant the room got bright quite early. If some street noise and light don't bother you, then the apartment will be great. Edin was a fantastic host. He helped us with parking and gave us great recommendations to do on our trip. The apartment itself was comfortable and beautiful. The location was ideal, right in the center of everything. Eveything was great, I didn't have any issues. There is nothing I dislike about this apartment. If only all apartments were like this! It was all perfect! The apartment is beautiful and has all you need, it's spotless clean and it's in the city center, 2 min from all imp sights. The owner, Edin, was very very helpful and he even came to pick us up from the airport which I recommend, as he takes about the same price as taxi drivers but you avoid the stress of negotiating.. he also let us stay some hours more in the apartment cause he did not have gyests right after us. I will be back and for sure stay with Edin!